Could we talk about makeup ....and hair --- again?! About 3.5 years ago I got some awesome makeup tips here and have since become more knowledgeable and definitely more interested in learning how to do makeup correctly. I've been using Urban Decay's Naked 1 since then and am happy with it but am ready to branch out and test more color combinations. I have fair skin and light hair. How are Naked 2 and 3? I was under the impression they were for people with darker complexions... Any other good eyeshadow palettes with decent lasting power in the same price range you would recommend? Also, on the hair subject. Typically my hair looks far from its best in the winter because of lack of sun and salt, wearing hats all the time etc. It loses its luster and fades to a nasty yellowish tone. In the past using a purple shampoo once a week or once every two weeks has helped, but it seems to be losing its effectiveness. I just read that purple shampoo doesn't work for natural blondes --- anyone know if this is true? I did order some tea tree oil to address scalp issues that come and go and also plan on doing an anti-chlorine Malibu treatment. While my hair hasn't been exposed to a lot of chlorine lately, I did them every few months in high school when I was swimming regularly and loved the impact on my hair. Any advice or thoughts, suggestions on make up and hair products would be greatly appreciated. Thanks! Re: Could we talk about makeup ....and hair --- again?! I have Naked 3 which is mostly rose tones and I love it, I have medium skin and darkish hair though. I received Naked Heat as a gift and it has some fun colors in it but I probably wouldn't have purchased for myself because they aren't "every day" colors to me. My cousin has a Tarte palette that I always try to swipe when we are together, I'm not sure which but the staying power is great for me if you can find one with tones you like. I have very fair skin and I LOVE Naked 3. I have fair skin and dark hair and I use a lot of bright colours. I find the Naked series way too neutral for me. I use bright pinks, corals, greens, blues, purples, etc. It's all about what you're comfortable with. I would suggest, trying at least one accent colour, either, liner, shadow, or lipstick, and seeing how you like it, to complement your look. I am fair, with both olive and pink tones to my skin courtesy of a Welsh-German-Italian-Spanish heritage. I own Naked 1-3 and I love them. I don’t feel like any of them are inappropriate for my skin tone and I’m always getting compliments on my makeup. Im not sure about purple shampoo. I'm pretty fair and I have the Naked 1 and 2; I actually think I like 2 a little better. I haven't seen 3 yet, however. I do have dark hair, but highlights (that need to be redone badly). I wear a lot of warm colors and jewel tones so I think that's why I like these so much. 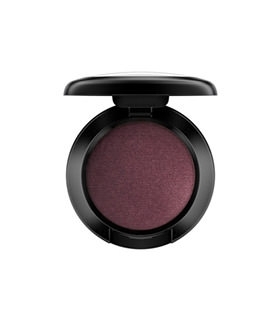 Ooooh checking out Tarte eyeshadow palettes online and they look great --- thank you! If you can find Naked Smoky I LOVE it! I like your suggestion about the accent color. 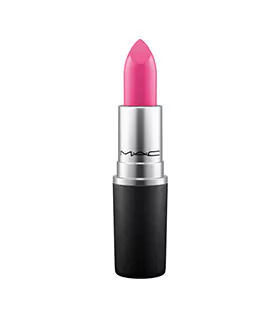 Pardon my ignorance ---- does this mean that I would - for example - choose a different color than the eyeshadow, a color that really pops, for eyeliner or lipstick? Do you have any suggestions of color combos that work for you? Thanks! I tend to be a pretty budget person, and I've been looking at drugstore makeup tutorials and recommendations. So these palettes are probably a little cheaper than the Naked palettes. Some of the ones I'm looking at that are recommended are the Milani Everyday Eyes sets, the e.l.f Prism eyeshadow in naked, the Sonya Kakshuk ion neutral matte palette, e.l.f mad for matte palette and the cover girl trunakeds in several different tones including the jewel one. A lot of those are similar to the naked palette, some with different tones in there. ETA: a ton, because it posted too soon. Normally I do a bright colour in the crease. It can be really subtle, or you can make it not so subtle depending on your comfort level. These are some of the shades I use. 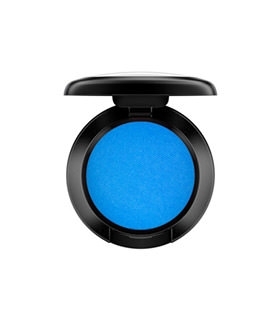 I wear the eyeshadows with more subtle shades, more neutrals, and use these to pop colour. And the lipstick, just for fun. Wait, this is the one I have, not Naked 2. I love it! I just thought of another one. For Christmas I bought the same cousin the Too Faced Clover Palette, it has neutrals and brights all in one. I mostly bought it because it has a narwhal pictured on the front and we love them but she says the quality is great too. @TrixieJess Love these tips ---- I'm ready for bold --- THANK YOU! I have fair skin, blue eyes and typically blonde hair - I change it often - so for myself, the Naked 3 works beautifully on myself. Best idea? Go to Sephora or wherever, talk to the people working there. Say you're torn between Naked 2 + 3. They'll give you an idea, plus you can also try it out. Love the accent suggestions -which I'm trying to incorporate - and next time I'm near a Sephora will get professional advice. I will likely buy an alternate palette too so I can go back and forth depending on the look I want ....the Tarte does look quite appealing. I love Naked 3 (fair skin, green eyes, and hair that varies from dirty blond to dark brown depending on my last salon visit). I basically wear lightweight foundation, a bit of blush and the tiniest bit of bronzer and highlighter for contour, a little bit of black eyeliner and mascara, a brow mascara and/or filler, and Naked 3 every day. And then I vary going heavier on the eyeliner and mascara and just wearing lip gloss, or I go lighter on the eyeliner and mascara and wear a bright lipstick.